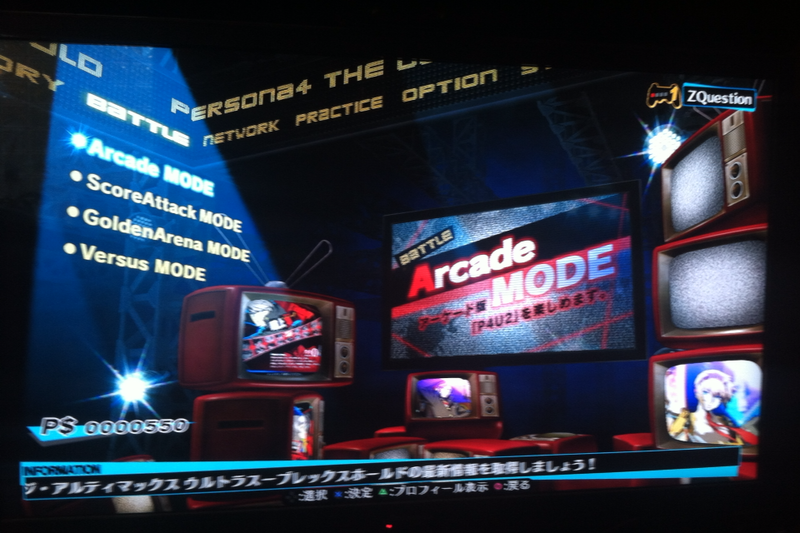 That time I talked about Persona 4 Arena Ultimax before It Came Out? | ZQuestion Reviews? ← Lets talk with Yosp.. Part Two.. Revenge of the Vita? 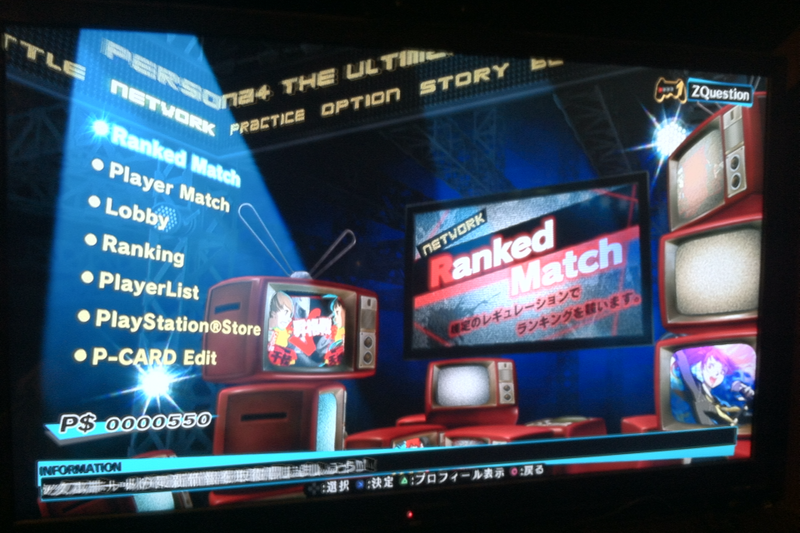 That time I talked about Persona 4 Arena Ultimax before It Came Out? 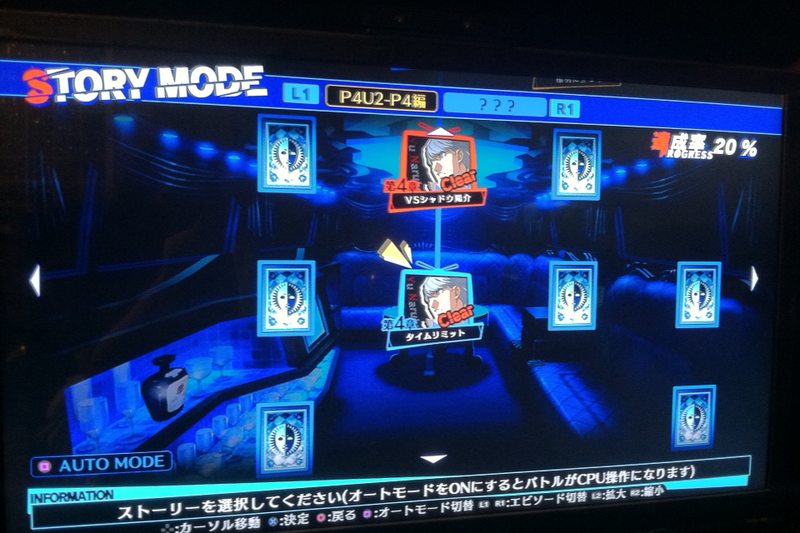 Welcome to the Velvet Room… Pick a Card.. Any Card… NOT THAT ONE! …You must die I alone am best! Back from a Month Hiatus you say? Where did you go? Not me.. You.. Person Reading.. Are you ready to read and see pictures of a certain game? Continue? 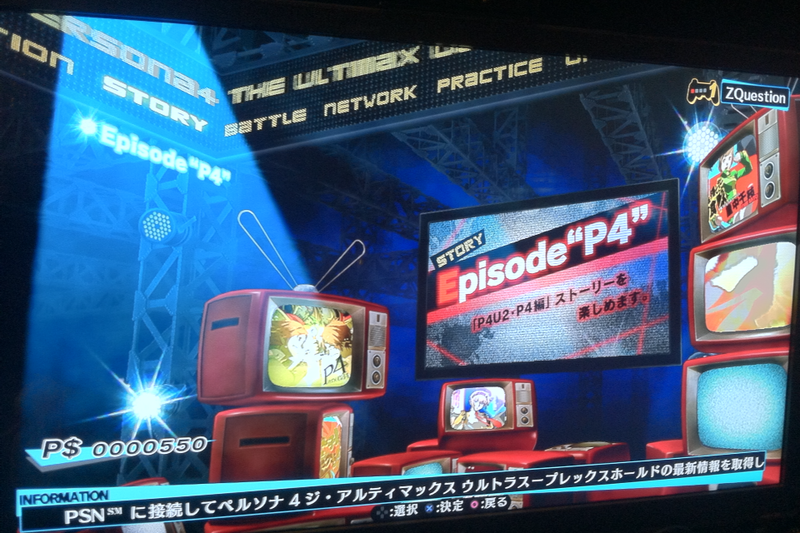 As some of you might know, Since you are on the damn internet.. Persona 4 Arena Ultimax is coming out at the end of this month. Well I said “Screw That” Built a time machine.. Went to 2019 on accident.. Still couldn’t get the damn game because everything was destroyed in the great “Microwave Craze 2016″… Everyone put disc in the microwave and filmed it for Youtube… To support ALS or something.. But I went back and just decided to Import the longer named version of it from Japan on August 28th.. in the Year of our Lord.. Here is your story menu… Nice looking.. Clean.. Reminds me alot of another game that I wont mention even though they worked together… But yep.. Now I know what you might be thinking… ” What is that ?? 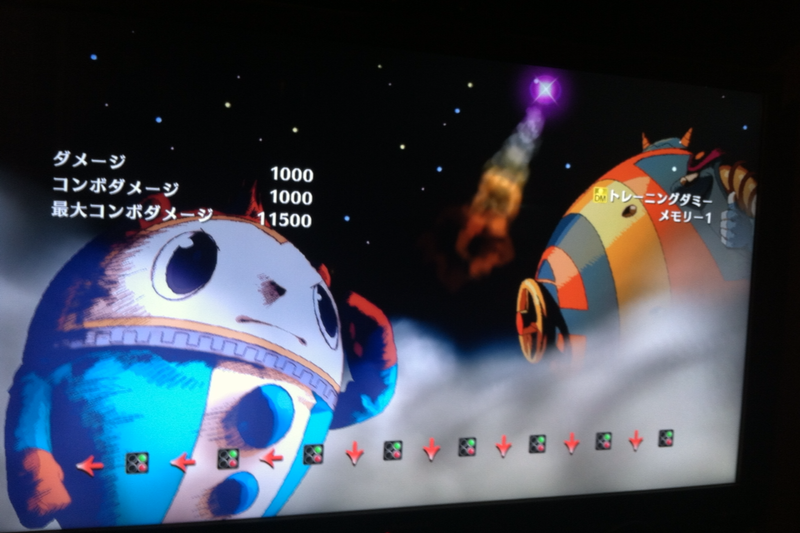 ?”… It is for extra story mode. Now you know! Yes the story is in Japaneses.. So I hardly have any clue on what is going on.. I will have to be just like you, wait until the North American release to understand what the hell is going on. Also if you do not like fighters but you love Persona.. They have you covered by using Auto Mode.. Sit back and enjoy the story while the CPU will fight for you. Speaking of characters, This is your on disc selection.. Now more will come with DLC but this is what you get right out of the gate! You can also pick if you want to play the Shadow version and also the color scheme. 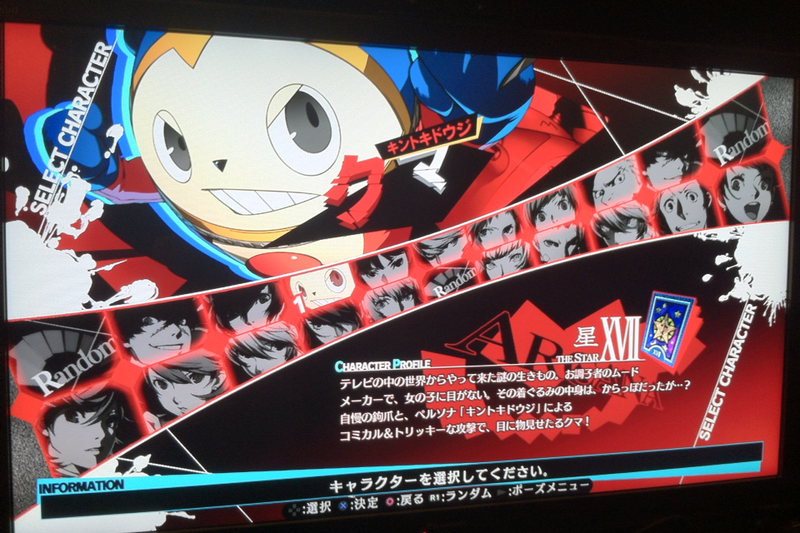 Only one character doesn’t have a shadow selection but does have a different persona. Overall it is a nice selection.. This is what most people will care about, You have your standard online setup that most fighters have. You can move up ranks you can get into rooms and take turns.. But P4AU has something special.. The lobby.. It is not your normal box and text Lobby.. No it is truly something special.. I was thinking about posting pictures up of it but.. I rather not if you have not seen how the lobby works..
As far as online, Right now you randomly run into a bit of starting lag but it clears up quick. This is only because 99% of the players online in the Japanese Release is… Japanese.. If you are rusty they also put in a standard training room. Or you can brush up by doing challenges for each character. *Spoiler is in Japanese for your protection? Posted on September 10, 2014, in Blah Blah Blah!. Bookmark the permalink. Leave a comment.